I met up with Deb today at Golden Needle. First we did a little shopping and then we had a nice long lunch. It was so good to see her and catch up! 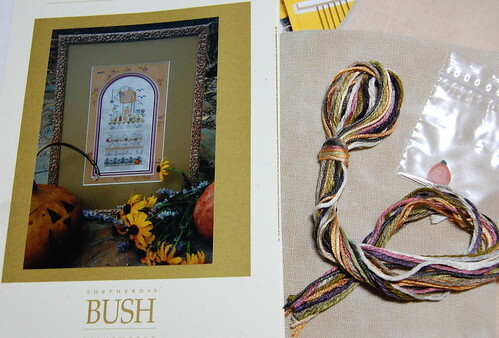 Deb was also so very kind - she got me a Shepherd's Bush kit that I have been wanting - "Pumpkin Hill." It was so sweet of her! I got a big cut of 40 ct. Vintage Light Examplar. It's so pretty! 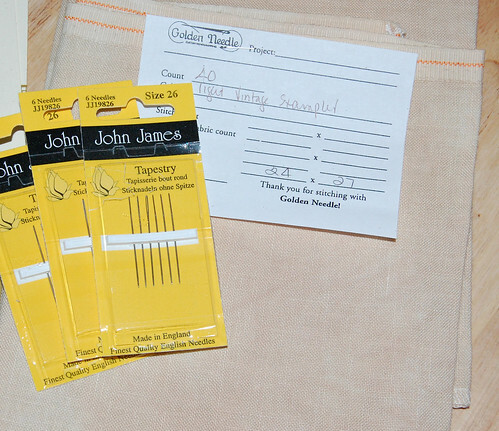 I also got a few cards of my favorite needles - size 26 John James. Nice stash, Nicole! Fun to go stash shopping with a friend. Oooooh, I love Pumpkin Hill. Looking forward to seeing this stitched! I too love Lakeside Linen and Vintage Light Examplar is my favourite! Not 40 count yet! Still sticking to my 32 for now! Enjoy ringing in the new year back at home! 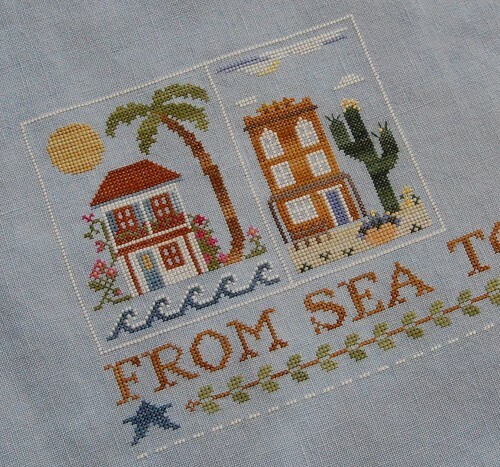 I am returning to the stitching blogging world. I have not been around in a long time and hope that you will add me to your blog roll! What a beautiful gift! I also like SB patterns, and this one is SO SO cute! Nicole, I wish you and yours all the best for 2009, a very happy new year with full of love, peace and helat and joy. Beautiful stash! Being away is nice, but I too always miss my boys! Have a very happy New Year! It's 2009 here - Happy New Year!!! Glad you and Deb had such a good day! and how sweet of her to give you such a nice gift! Pretty linens!